Whether you’re searching for the perfect thing to tuck in an Easter basket, or just a fun new game to keep your family occupied while nights are still cool, Kooba is an unique choice that will get your family’s competitive juices flowing. It’s simple to learn, difficult to master, and oh so much fun. It’s what I imagine you’d come up with if you crossed a lively game of darts with your favorite board game (with the awesome of magnets thrown in for good measure). Though the box suggests 14+, it’s also suitable for upper elementary kids, as long as they are mature enough to handle swinging sticks around without taking anyone out. The game itself is quite simple – and there aren’t tons of tiny pieces to get lost immediately either. 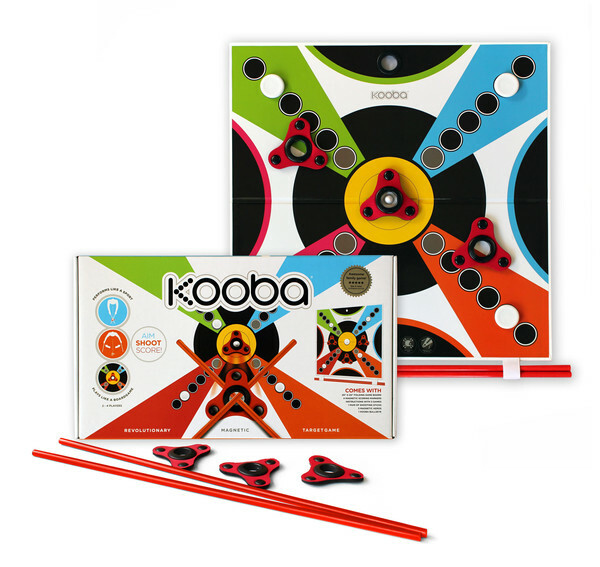 Kooba consists of a large game board that can be hung on the wall, or folded in half for storage, as well as two long sticks that are used to launch the pieces. There are three magnetic aeros – these are sort of triangular game pieces that have a hole in the center. 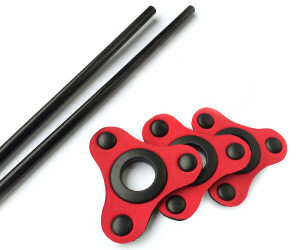 They are magnetic so that they can stick to the game board when launched by the sticks. Last are the four magnetic scoring markers and a bullseye. Kooba can be played by 2-4 players, but you could probably expand that if needed by playing as teams. Each player chooses a color on the board (green, blue, red, or orange), and places their scoring marker at the start of their run. There are a variety of different ways you can play, but the gist of it is pretty similar to darts. Each player launches three of the magnetic aeros per turn, with the goal of hitting the bullseye in the middle of the board. Each bullseye the player hits counts as one point, with the player moving their marker one spot closer to home with each score. Actually launching the aeros is what takes the most practice, but it’s also a lot of fun. You simply place them through the center hole, cross them, and then pull apart. As you pull the sticks apart, the motion launches the aero. Actually completing the process to send the aero flying is quite simple – it’s accuracy that will take a lot of practice, much like traditional darts. The bonus here is that the aeros are soft and without a point, so you won’t be ruining any walls when one goes off in a crazy direction. Kooba is a surprisingly addicting game that your whole family can enjoy together. It’s premise is simple to pick up on, challenging to master, and easily modified to suit your family’s style. 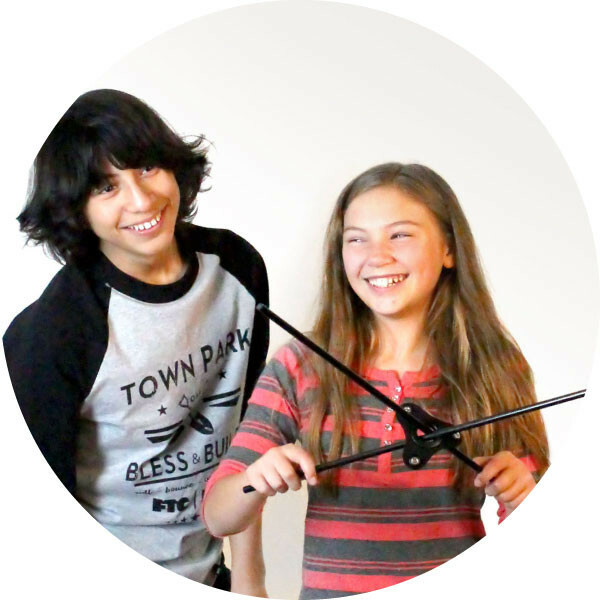 It’s a great choice for teens and adults, but easily doable for kids around 8 and up as well. 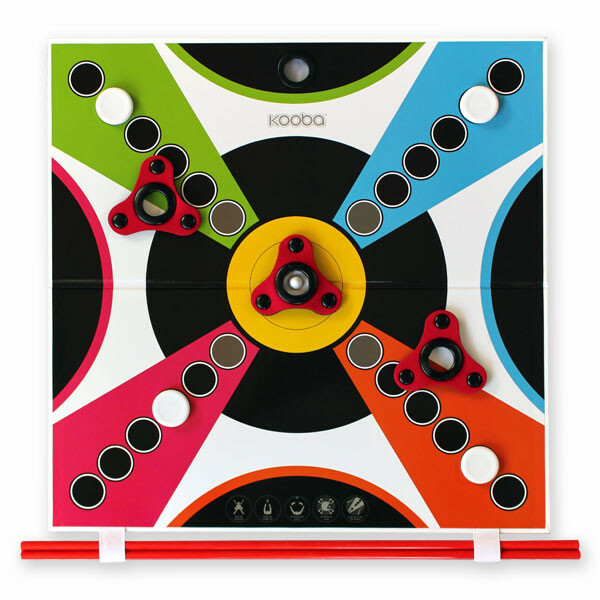 If you’re looking for something unique to liven up your family’s holiday gathering, look no farther – Kooba is a hit.